Ready to see the Crown Jewels at the Tower of London. On our recent 12-day trip to England, Scotland, and Wales my husband and I took almost 2000 pictures. (That's what happens when your cell phone is easier to whip out than your camera.) Most of those pictures are of the incredible scenery, ancient architecture, and, uh, food I ate. 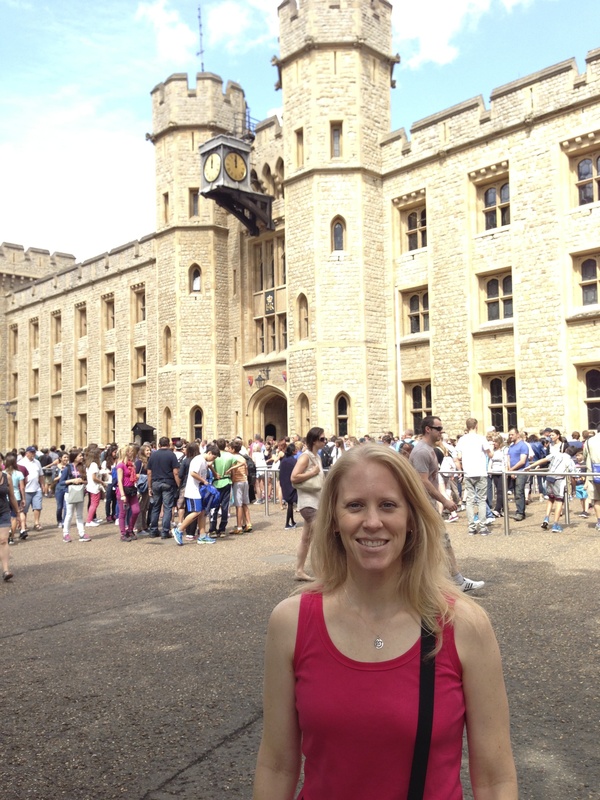 For more travel fun, check out my Hodgepodge post from our 2010 trip to Europe. What are some odd-to-you or interesting things you've seen while traveling? Last summer we were passing by Joliet on the interstate. My son’s mind twisted the letters a bit, and he wondered aloud why anyone would name a town Joilet, when it sound so much like toilet. Looking forward to more from your blog. Cheers! Great pictures, Gwen. What a wonderful trip that must have been. And for 12 days! I hope to get there someday, but I’m not sure when that will happen. So thanks for letting me feel like I got to see a little bit of the UK. Thanks, Dave! The trip was wonderful. The next best thing to traveling is getting to share the fun with others. 😉 I hope you get there someday!